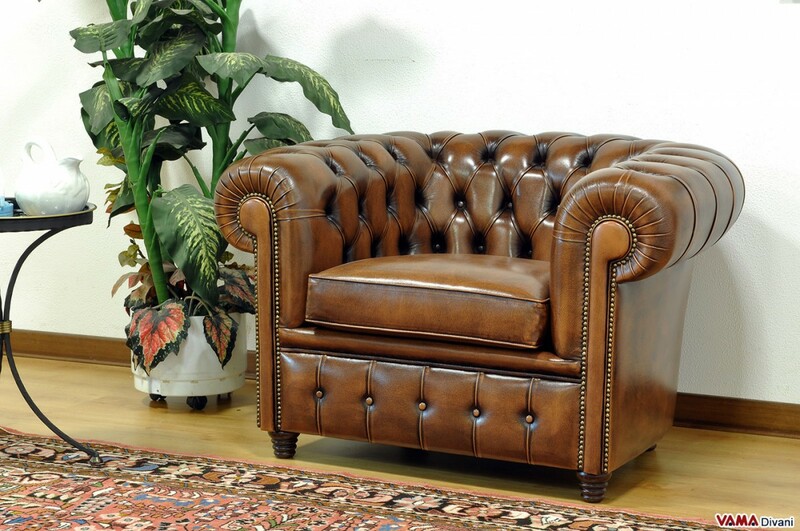 Very comfortable and made in top quality and fine leather, the Old Style Chesterfield armchair is ideal to be matched with the sofa of the same name of which it repeats the same characteristics. 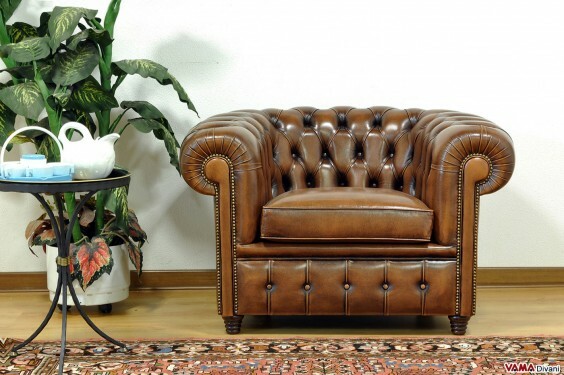 The Chesterfield armchair is one of the most renowned and appreciated armchairs in the field of classic furniture, and this "Old Style" charming version presents some interesting features that make it even more elegant. 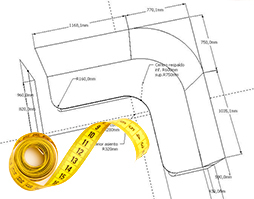 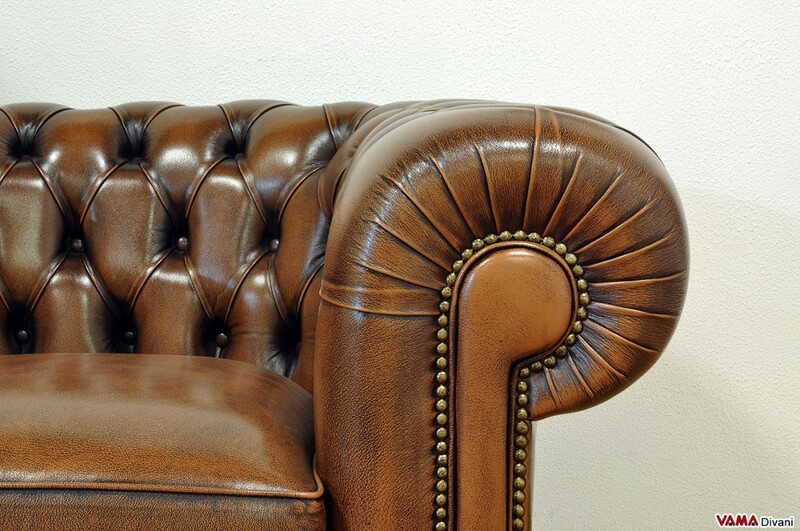 In addition to all the features that have always characterised the Chesterfield armchair, there are the buttoned details on its upholstery: the Old Style Chesterfield armchair is embellished with interesting little details such as the finishing studs, its slim wooden foot, its arm refined with hand crafted folded details. 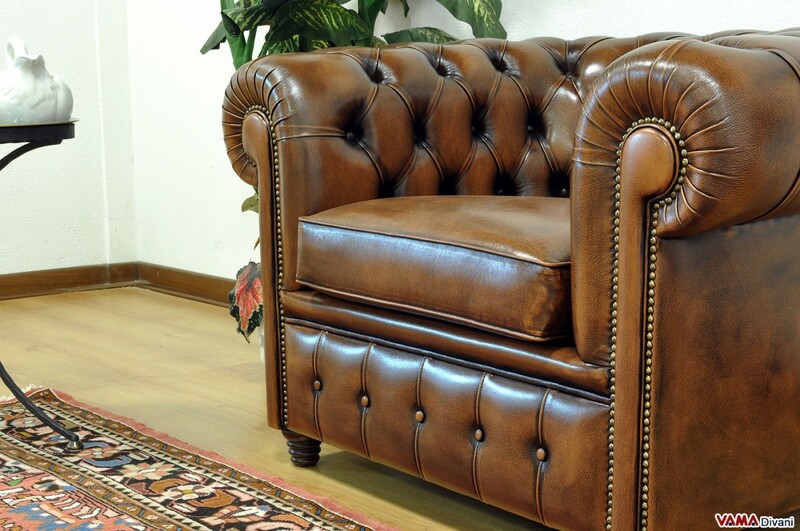 The result is a very refined and valuable armchair made of the highest quality materials, including the fine leather upholstery, which is ideal in typically classical or Vintage environments. Absolutely perfect to be matched with a Old Style Chesterfield sofa, this armchair is great not only for living rooms, but even for offices, bedrooms and any other elegantly furnished and clearly inspired by Old style environment.